I am moving to a new home! 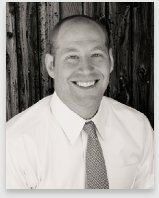 After eight years of practice I have decided to close down my practice and transfer my services to the Hoban Law Group out of Denver, Colorado. If you are an existing client, please contact me as soon as possible as our relationship will not change in the short term, just the procedural details. If you are a new client, please contact me as soon as possible for us to discuss how I may be of service. For all other inquiries, please contact me at your convenience. Thank you for your patience and understanding during this transition. I look forward to providing the same excellent level of service but with more resources at my disposal.